Google play store consists of tons of android apps but the fact is majority are useless and not worth having on your smartphones. The purpose of this post is to let you know some top and smart apps that will affect your day to day activity in a positive way. Recently, we wrote about “Top IPhone Apps” but we have dedicated today to our android phone users. 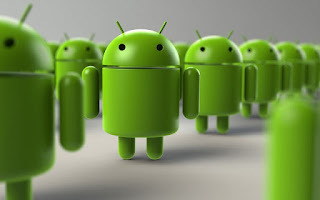 In this post, we will enlighten you about Top Free Android Applications you should have on your Smartphones not because they are necessary but because they are important and very useful. Which free Android Apps should you really install on your device? The Top Android Apps we think you should definitely have on your smartphones are listed below. Keep Me Out: Keep Me Out is my number one app because time is money. Keep Me Out is majorly a time management application. This app is really useful because almost everybody can't-do without pressing their smartphone 24/7 nowadays, but Just as its name sounds Keep Me Out prevents you from wasting your time on the phone all day. Once you agree to give the app permission by setting something like a timer, you won’t be able to use your Android device until the time elapses. Top Android Apps You should have on your Android Smartphone because it can save you from getting lost and prevent you from wasting your time roaming around an unknown town or city. Google Fit: We have a popular saying in my place “Health Is Wealth” Google Fit is not just an app it’s also a life savior due to its numerous functions. This app can track your steps, track the time you run and the calories you burn. This app silently runs underground and notifies you if you achieve your predefined goal. Truecaller: lol if you don’t have Truecaller installed on your Android device right now and probably don’t know what it does then I will have to say you were born in the early 80’s…. Getting calls from unknown number can be a pain and cause for concern at times but thanks to Truecaller you can easily expose/know who the strange callers really are. Unified Remote: With Unified Remote you can turn your phone into remote for your laptop. Isn’t that cool? It has multiple remotes: keyboard, Mouse, WMP, Slideshow etc. Cam Scanner: Cam Scanner is really important too. It can be used to easily scan documents from your phone itself. One amazing thing about Cam Scanner is that you cannot know that it wasn’t a normal scanner if you weren’t told. Shazam: This is also very cool. Shazam helps you to identify the song that is playing either in a public place or social gathering with ease.